You know that time you realized that you have been doing something the wrong way for a very long time and then finally realize the wrongness. For the sake of the low profanity rating of this blog, let’s call these golly gosh moments, although the Millennials might better understand #FML. Homer just says do’h. So it’s just a normal day at the office, and I want to see if I can make an IP address lookup to get the approximate geo-location of a website visitor. I find an IP and it starts with 10 and turns out to be part of a private IP range. The next IP is the same. And the next. // IP address during requests. A one-liner made a world of difference for the logging. Golly Gosh. 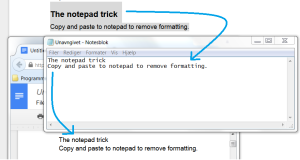 There is a good reason Notepad has survived through all iterations of Windows. 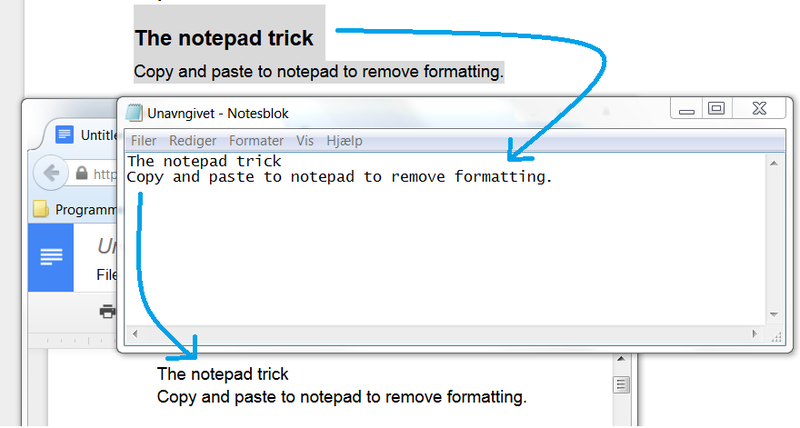 It is the best tool for clearing formatting! 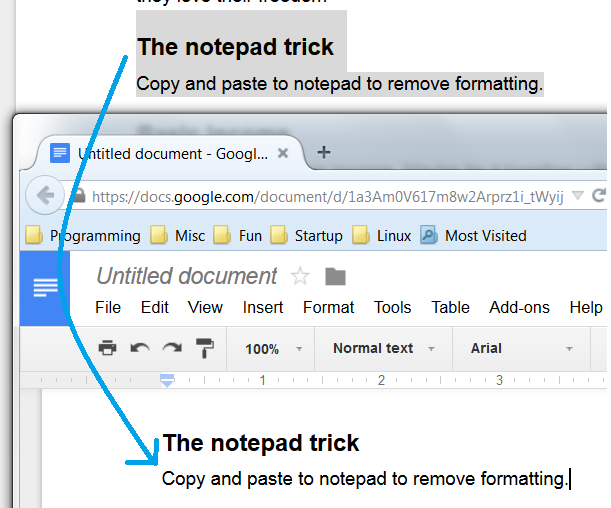 For example, copying text from a webpage to Word will often keep the formatting (color, size and so on) but copying it to Notepad first and then re-copying it to the other editor clears the formatting completely. 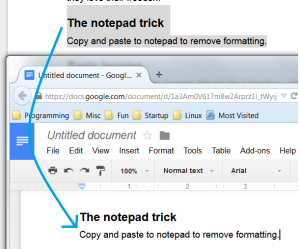 I call this “The Notepad Trick” and I use it all the time so I thought it would be a good idea to pay homage to good ol’ Notepad. The formatting is all cleared, yay! By the way, the trick is also described elsewhere.